If you thought you had enough apps for your phone, think again. Now you can download a free app for your iPhone or iPad and view and control the functions of your 4kw Furuno radar. 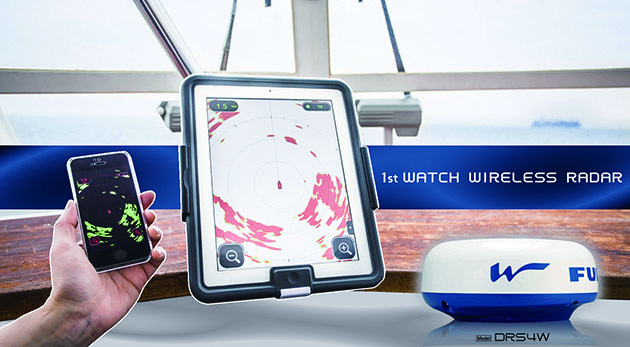 The new DRS4W Wireless Radar from Furuno is a first for marine electronics and will give the valuable capabilities of radar to a whole new realm of customers. 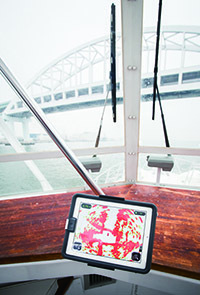 This new wireless technology allows you to use your radar from anywhere on the boat. Installation is now much simpler because boaters no longer need to run the bulky and stiff signal cable between displays and the dome. A power cable is all you need to get to the antenna and the rest is done via the airwaves. 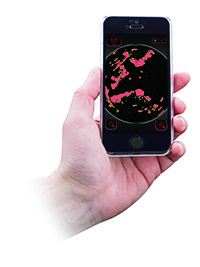 Users will be able to use their handheld devices to select range scales from 1/8 NM to 24 NM as well as controls transmit and standby functions. Radar is a valuable tool for boaters as it increases your situational awareness to objects, other boats, and weather. It is not only crucial at night or in fog, but can help you dodge bad weather or get home before it hits. This new innovation from Furuno has earned them the “Most Innovative New Technology” award at the recent Ft. Lauderdale International Boat show. You can learn more or find a Furuno Dealer at www.FurunoUSA.com.